Despite celebrating another titie win LFC fans caused considerable trouble in the terraces with over a dozen policemen injured. Legoland FC have secured their 9th Serie A title today with a 4-2 victory over Medalin at the Partizan in front of a crowd of 903 minifigs. The Davidium club lifted the trophy with 3 games to spare and pipped arch rivals Legoland United once again. This latest gong has further extended LFC’s record run with no other team having won more than 2 titles in-a-row in the competitions 23 year history. The Cartel fell behind in the 24th minute with Gardinia international defender Leonardo Flavio bundling into his own net but equalised shortly after the half-time break through Diego Pallardo. Star forward Ronaldo bagged his 22nd goal of the campaign to put him top of the goal scoring charts and the league leaders ahead in the 68th minute. Despite clearly lacking any real mobility due to recent illness, Medalin substitute and owner, Emperor David managed to level it in the 80th only for late strikes from Jese Zubizarreta and Mladen Dordevic to seal a deserved win for LFC. LFC’s victory parade was assured after the top table clash between second placed Legoland United and third placed Celebs ended with a 1-0 victory for the Aristocrats thanks for a Papa Ndonga strike. Legoland United secured second place and a spot in the Gold Cup with just 2 points separating them and Medalin. At the other end of the table Ajax Skerries and Segasonic Snowfalls join Verdy in relegation to Serie B. 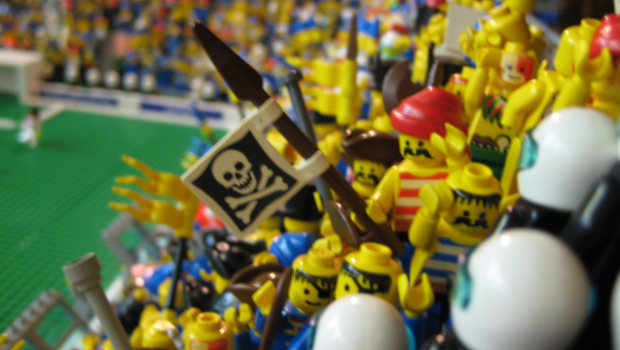 Real Legoland, Atlas Bell and Port Villa will be playing in Serie A next season while Port Royal, Flushing Lego and Armatan Heat are heading to the non-league.